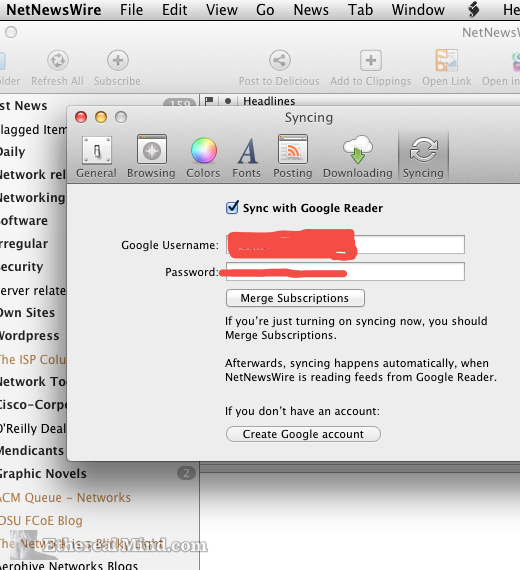 Google has decided to end their Reader product that provided an interface to RSS. On the whole, it’s a good thing even though I’m unhappy that I have to change. I’m confident that something better will arrive so I will wait peacefully & patiently for the Internet to provide. Take a deep breath nerds. The world isn’t ending, only evolving. 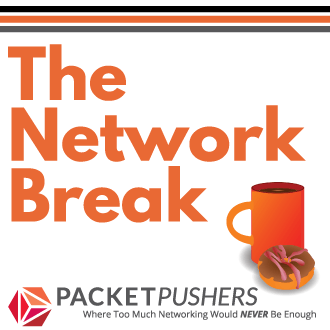 I highly recommend that all network engineers have an RSS reader and know how to use it. 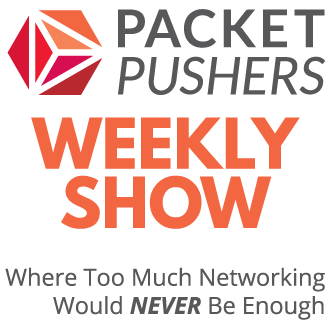 You can subscribe to vendor blogs, announcements, as well follow blogs like mine or the Packet Pushers. Each blog has an RSS URL that you subscribe to, and every time something is posted to their website I get a chance to learn something new. Cloud services are different to dedicated apps. Cloud services are closed or modified to someone else’s agenda or schedule. That’s the hidden disadvantage of cloud services and the “devils choice” that IT Managers make. For example, when major UK reseller and data centre provider 2e2 went into liquidation customers were forced into making business decisions about IT at short notice. If you own your data centre building and facilities, you can plan better for upgrades and moves. For software, the vendor can be out of business but still usable and allow for smoother replacement. If you don’t like marching to the beat of someone else’s drum, then don’t use the cloud. Right ? When Google released Reader, it replaced a number of commercial services, and displaced many companies. It also enhanced a lot of applications. Perhaps the biggest impact was on News Readers like NetNewsWire and Reeder – these applications use Google Reader as a database of news feeds. 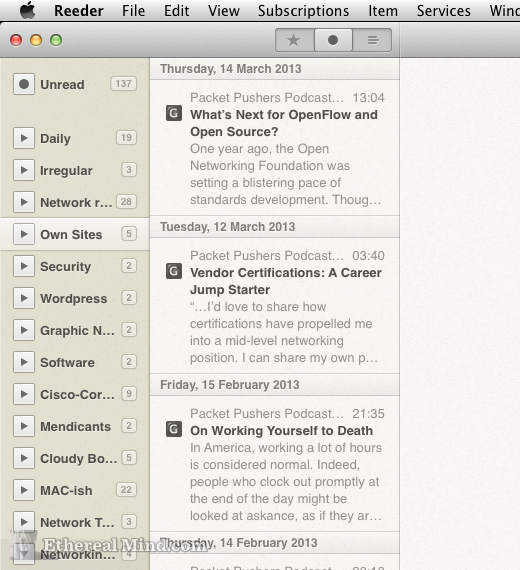 Today, I mostly use Reeder on the Mac / iPhone / iPad. Occasionally I return to NetNewsWire – it’s got some features that I enjoy but Reeder is much slicker. After reading an item, I mark it as read. Next time I use any other news reader, they will also know that I have read that item. 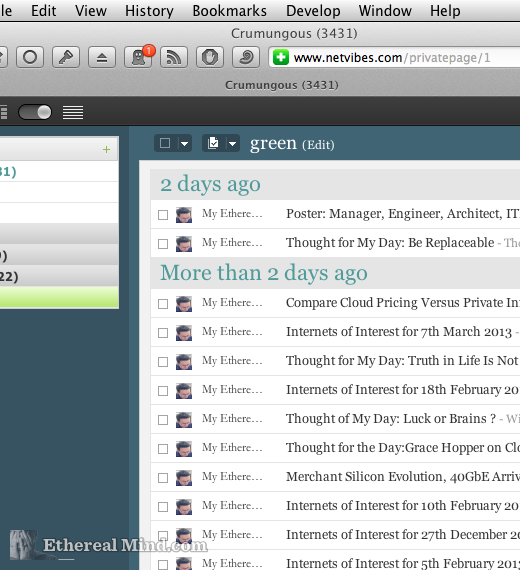 It’s the syncing that has made RSS readers so useful. Or you could even use DEVONthink Pro (my preferred knowledge management tool ) to be an RSS Reader as described in this article. But I’m doing none of those thing. I think of RSS as an Application Program Interface (API). There is a lot of interest in APIs as a way to exchange data and software tooling to support RSS is far more common than 5 years ago. Yes, that’s a cloud thing. The world has a lot more software now compared to five years ago. And better tools and testing too. Lots of venture capital/people/startups/want to build platforms. It’s quite fashionable these days. And building an RSS reader platform has value for a business that is smaller than Google. They are focussed on shooting for the moon and RSS syncing appears to be small & insignificant by comparison. 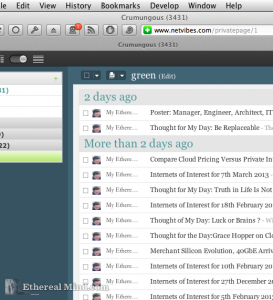 Also, if you are a blogger and use Feedburner for RSS subscribers, it’s time to consider changing your setup. 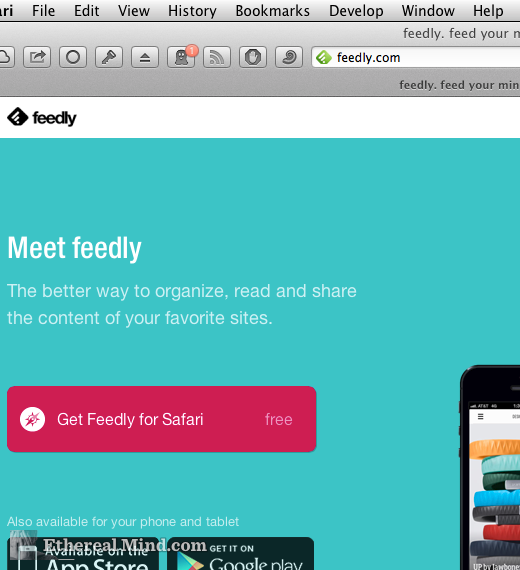 I’ll be working on this over the next few weeks to stop new subscribers using Feedburner. It’s my belief that something, someone, somehow will move into the gap that has been created – most likely a smaller company with an interest in news readers. Instead of rushing of to find new services (that are probably overloaded with new customers) , I’m just going to wait a couple of months to see what happens. No big deal. Deep breath. Lets just calm down and take some time to see what happens. Four months is a long time in the cloud. Yes, it’s ultimately a good thing for the RSS Reader ecosystem.. I just hope developers are quick to develop/update apps that will sync subscriptions and read/unread info to iCloud. I’m looking at you, Reeder. I’ve already got it on my Mac, as well as my iPad, and really do like the product. I’d even pay (but not full price) for an upgrade that included this functionality. Insightful post as usual. meanwhile may I ask why you do not provide full feed of your post? I mean I get couple of lines of the posts in my reader and then I have to click to come to here to read the whole post. When people click through the RSS, it tells me that this topic is more interesting than other content. I would be perfectly happy if reeder took advantage of iCloud or even Dropbox to sync feeds between Mac, iPad, and iPhone. This of course doesn’t help windows users, but for me that would work just fine. I never used the GR web interface anyhow. It was nothing more than a sync service. iCloud should enable that capability on a “per-app” basis. Certainly not as flexible, but good enough.